If the partition you want to expand is not root partition, then you can simply unmount the volume and resize it from the instance itself. There is a problem when you want to expand a root partition. You cannot directly expand the root volume from your instance. There are steps involved that you need to follow. 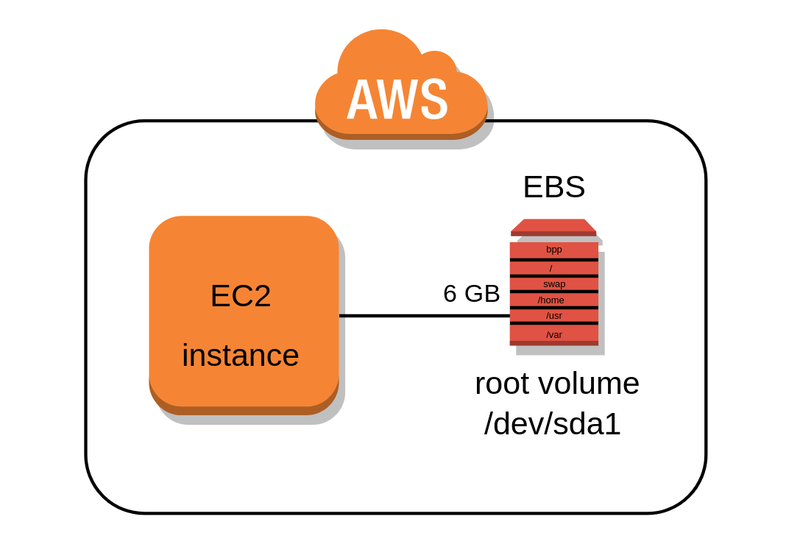 Note: Create a snapshot of your root volume (EBS) before you attempt to expand root volume. The methods are destructive and cannot be reverted back. 4. Create a secondary instance - you can use nano instance and start it. You've to start the instance before you can begin the process. Having two root partitions while booting the instance can corrupt the file system. 5. Once your secondary instance is started, attach a root volume of your primary instance to it. The parted utility is a partition editing tool that is available on most of the Linux distributions. It can create & edit both MBR partition tables,GPT partition table. Here are the steps to expand your root partition using parted utility. 4. Change the parted units of measure to sectors. 5. Run the print command to list the partitions on the device. 7. Delete the partition entry for the partition using the number (1) from the previous step. 8. Create a new partition that extends entire volume. 9. Run the print command to verify your partition. 11. Run the quit command to exit parted. Now that you've expanded the partition. 3. Start your primary instance and your root partition should be expanded. You can run lsblk command to verify.